"The incidents took place at Gerehu and Gordons respectively with further investigations currently going on"
A teenager was brutally shot dead on Saturday by armed men in an unmarked vehicle whilst three others were killed in a car accident. 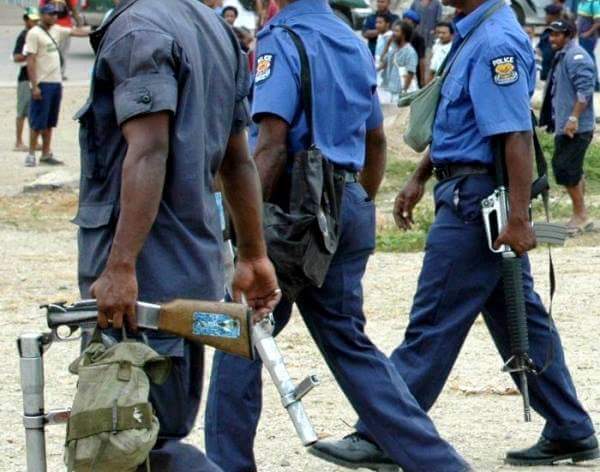 Gerehu Police said the alleged killing of the young boy took place last Saturday afternoon at Gerehu Stage 7 which police are investigating to identify the armed men who are alleged to be rogue police officers. The reports are still unclear but a unit from Gerehu Police Station dispatched at the scene confirmed information received from the public that police officers were involved. In another incident, three youths were involved in a car accident at the Gordon Police Barracks when a land cruiser lost control and ran into them at a road side market at the barracks. Director NCD Traffic Division said the driver of the vehicle of known to the police and will be brought in once investigations are complete. He appealed to vehicle owners to be aware of the faults with their vehicles and have them fixed to avoid unnecessary accidents.